Enterprises understand the advantages of colocation, but they also know that entrusting mission-critical infrastructure to third-party data centers means giving up some control over their servers. 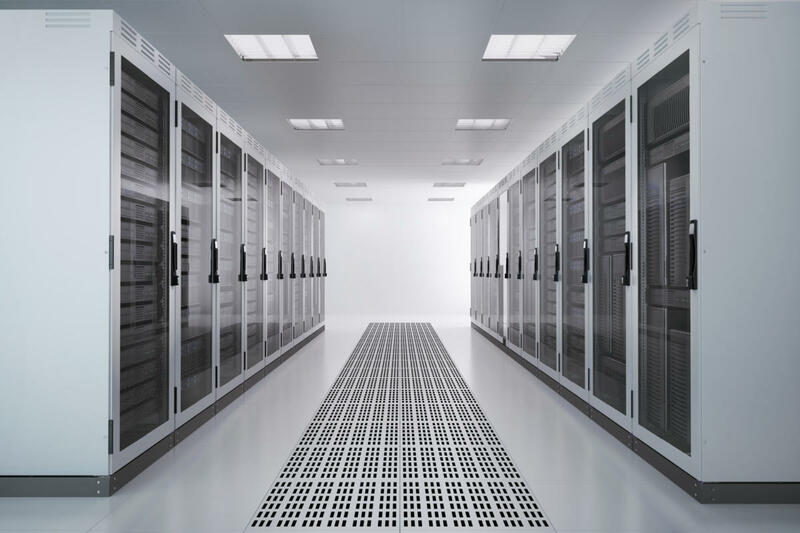 Data center Infrastructure Management (DCIM) tools can provide colocation customers with transparency into their data center's operations, to verify that providers are fulfilling the terms of their Service Level Agreements. A DCIM platform gives customers a "single pane of glass" to view the status of their IT infrastructure. "Today, more colocation providers are offering their customers access to DCIM portals," explains Rhonda Ascierto, Research Director for Data centers and Critical Infrastructure at 451 Research. "Customers want to see how well a colocation facility is operating, not just rely on the SLA. A DCIM tool gives the customer visibility into data center operations, and assurance that the colocation provider is meeting their obligations." IBX SmartView, offered as an add-on service by Equinix, is an example of a DCIM tool that provides quality assurance. Using a computer, tablet, or smartphone, Equinix customers can access IBX SmartView through a secure customer portal, to view real-time power, temperature, and humidity levels, and electrical resiliency data in the Equinix facilities where their infrastructure is deployed, and within their specific cabinet or cage environments. "For enterprises and cloud service providers, their IT infrastructure is a key piece of their delivery chain," says Ravi Ravishankar, VP of Product Management and Product Marketing at Equinix. "IBX SmartView gives them the peace of mind that their operations and infrastructure are running smoothly." There are two types of DCIM tools. Off-the-shelf enterprise-level tools, such as Intel's Data center Manager, usually measure power, cooling, and airflow for an entire facility. These platforms are most useful to companies with private data centers, since they focus on the data center environment as a whole. Home-grown DCIM platforms are usually created by colocation companies as an internal monitoring tool for their facilities, but the colocation provider decides to extend access to the platform to customers. These types of tools are more useful for colocation customers, because the provider has often customized their platform according to customer needs. For example, if an Equinix customer has an internal platform that they use to monitor their own private data centers, they can download data from IBX SmartView into their internal tool, and use it to monitor their Equinix data center deployments as well. Also, IBX SmartView lets customers set up conditional alerts for events in Equinix facilities. For example, the customer might have IBX SmartView notify them by email if their power draw exceeds a certain threshold, or if utility power goes down and the data center is running on a generator. A DCIM platform allows colocation customers to do better, more proactive capacity planning. They can see how much power their IT footprint utilizes daily, weekly, or monthly, and use trending data to predict future power requirements. This provides a cost savings, because it allows the customer to right-size their power capacity needs more accurately. "The data provided by COLOVIEW®, our DCIM platform, is extremely granular," explains Bryon Miller, Chief Data center Officer at FORTRUST, a Denver-based colocation provider. "Our customers can break down power consumption in amps or kWs, by individual rack or cabinet, or by individual circuit in their IT environment. They can track power, temperature, and humidity levels for every minute of the past 365 days, recognize power usage trends, and use this data to manage their power needs." "In addition, COLOVIEW helps customers to do more effective day-to-day capacity planning. For example, if the customer needs to add a server to a rack, they can log into COLOVIEW to see if they have enough rack power available to add that piece of equipment." Ravishankar adds: "The ability to proactively plan is key for Equinix customers. Their power draw varies, and there are peak times, such as the holiday season, when they need to boost power to handle higher server traffic. IBX SmartView offers customizable reporting that lets them analyze power usage to effectively manage and plan for future capacity requirements." Usually, colocation DCIM tools are accessed through a web portal with a secure, comprehensive permissions system. The customer decides who has access to operations data for their deployments via the DCIM tool. Also, the data is segregated, meaning customers have real-time access to data for their own IT footprint, but not for the IT footprints of any other customers in a colocation facility. The level of access the colocation provider needs in order to set up the DCIM tool for the customer depends on the tool itself. For example, FORTRUST's technicians don't need access to customer cages or cabinets to set up COLOVIEW. "At FORTRUST, we do electrical monitoring at the branch circuit, so none of our sensors are installed in the customer's environment," says Miller. "Temperature and humidity probes are all wireless back to the DCIM system, so we don't have to enter the customer's environment to read them. Also, COLOVIEW only offers data for the environment itself, not for individual servers within that environment." "When a customer purchases IBX SmartView," says Ravishankar, "we install additional temperature and humidity sensors in their cabinets or cages, with their permission. Edge servers collect data from embedded sensors and management systems at the IBX level in our facilities, and pipe it back to our core platform. The customer can then view real-time or trended data through the secure Equinix Customer Portal or their own internal monitoring tool." "Some providers are reluctant to offer transparency tools to their customers, because it forces them to change their pricing model," explains Ascierto. "It's preferable for colocation customers to buy more power than they need, so they have a certain amount in reserve. But once the provider starts showing them how much power they're actually using, the customer often realizes they use less power than they thought, so they start buying it in smaller increments." "But ultimately, offering transparency tools will be an advantage for providers, because it will help them to sell power more effectively. For example, they can use trending forecasts to show customers when they will run out of capacity, and plan future IT expansions in their facilities with those customers. Also, transparency tools enable colocation companies to use power and other resources more efficiently." 451 Research sees DCIM as a future imperative for both colocation providers and their customers. Providers that aren't offering DCIM data to customers today will likely be required to do it in the near future. It's just a matter of time before colocation customers demand it. Robert S. Lindsay is a Seattle-based freelance writer who writes for and about colocation and other high-tech industries.